There is no better innovator of interior style than the French fabric house Elitis. 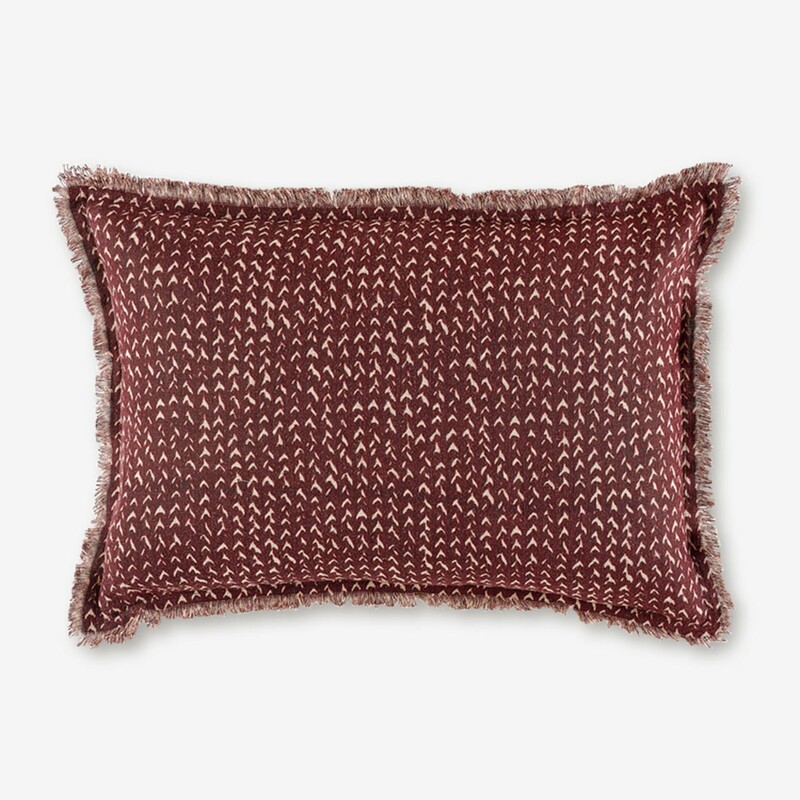 We are thrilled to be offering this beautiful cushion from them as the finishing touch to our collection. Add a relaxed, eclectic edge with the Jazz cushion. The linen cover gives it a tropical feel, with an exotic chevron print and double fringe border for organic texture. Its large shape makes it the perfect filler cushion for a comfy seating area alongside our Waves Cushion in Graphite.